Dolce&Gabbana Summer 2015 eyewear collection is inspired by the patterns and colours that stem from the Spanish influence in Sicily. This year’s limited edition ‘Spain in Sicily’ frames have a Spanish spirit and take their inspiration from the traditional combs that secure the veils of flamenco dancers, whilst marquetry embodies the craftsmanship and attention to detail so synonymous with the Italian fashion industry. The classic animal-print detailing returns in this collection to lend a touch of eccentricity. 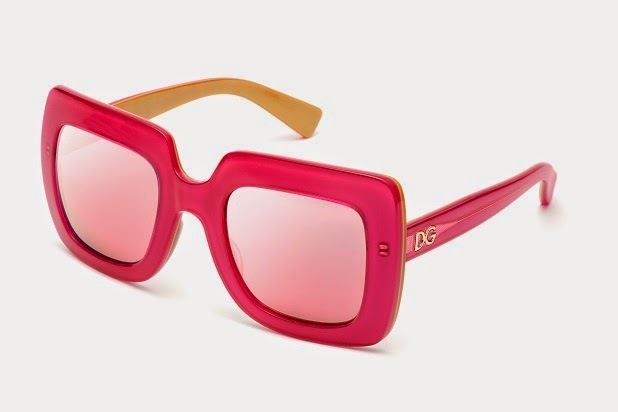 Inspired by ‘Spain in Sicily’, one of the themes of the Dolce&Gabbana PE 2015 collection, these limited edition sunglasses have received rave reviews from the catwalks and fashion shows. 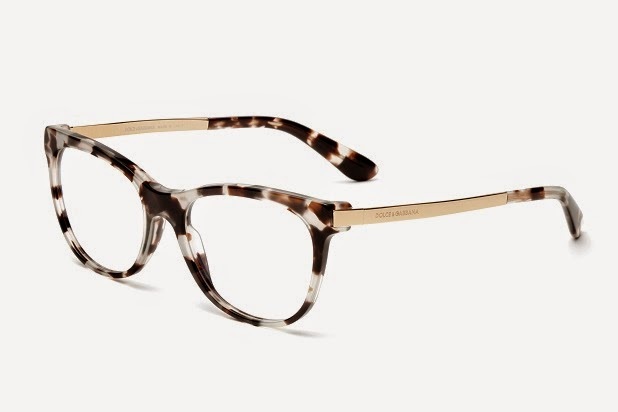 Rounded in shape, with a broad front section in inlaid acetate, the frames are reminiscent of the tortoiseshell Spanish combs used by flamenco dancers to keep their mantillas in place. The sunglasses evoke an imperious, overwhelming sense of femininity, softened by a sensual contrast between light and dark, with tinted lenses completing the look. Available colour combinations include polished black with grey tinted lenses and dark Havana and blonde Havana with brandy-coloured tinted lenses. A resin Dolce&Gabbana logo holds pride of place on the temples. 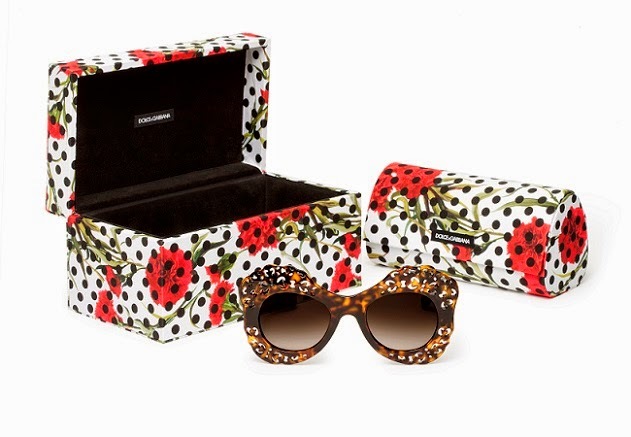 The sunglasses are presented in a special ‘precious box’ with personalised case, decorated with red carnations on black and white polka dots. Checked colour acetate provides the perfect foil to the vintage elegance of the gold front section and temples of these rounded sunglasses. Available colour combinations include lemon checked front section and temples with pale gold detailing and gold mirror lenses or green apple checked front section and temples with pale gold detailing and green tinted lenses. There’s also a completely black version, though pale gold detailing and grey tinted lenses accentuate and complement the look. 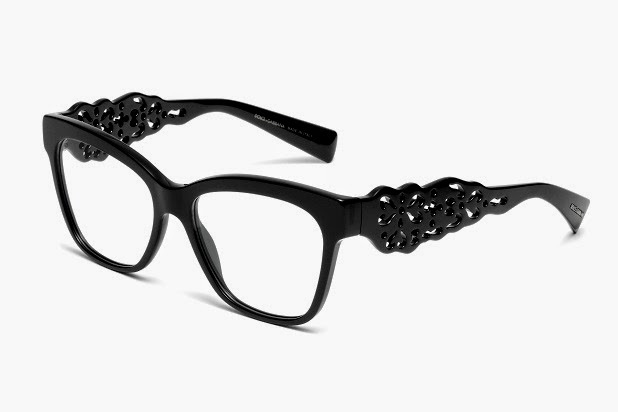 The Dolce&Gabbana logo is etched onto the temples. These squared sunglasses in acetate are characterised by a pleasing contrast between animalier detailing, a great passion of Dolce&Gabbana and opaline colours. Distinctive leopard print adorns the entirety of the temples and half of the front section, allowing your chosen colour to complete the look without being overpowered. 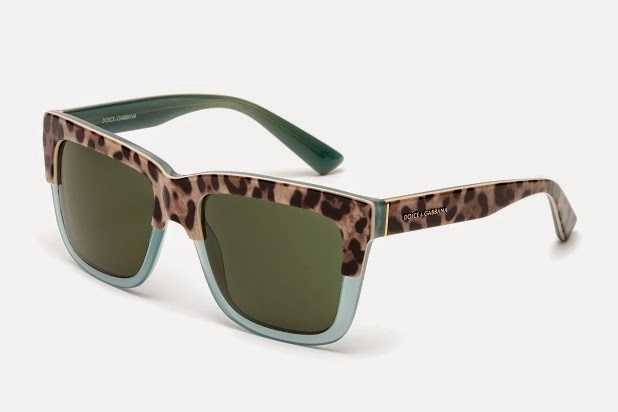 Available in leopard print on black with grey tinted lenses, leopard print on opaline earth colour with brown tinted lenses, leopard print on opaline raspberry with pink mirror lenses and leopard print on opaline green with green tinted lenses. The Dolce&Gabbana logo adorns the temples. 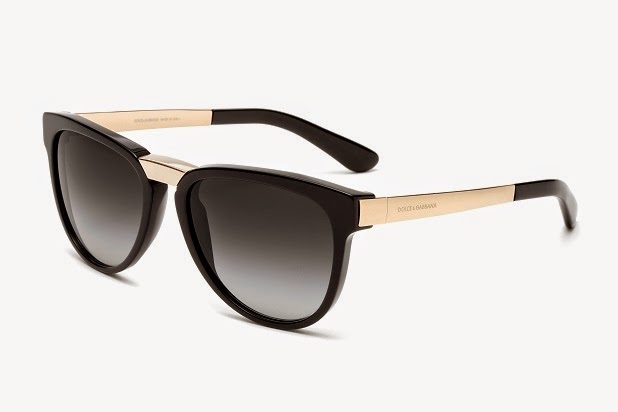 Gold triumphs in true Dolce&Gabbana style with these squared sunglasses. The inner part of the acetate frames is embellished with flashes of gold, whilst the outside and temples are available in a plethora of eye-catching colour options. Combinations include black top part over gold with grey tinted lenses, fuchsia top part over gold with pink mirror lenses, silver top part over gold with silver mirror lenses and sky blue top part over gold with blue tinted lenses. And for those who love to push the boundaries that little bit further, there’s even a version which combines gold top part over gold with gold mirror lenses. 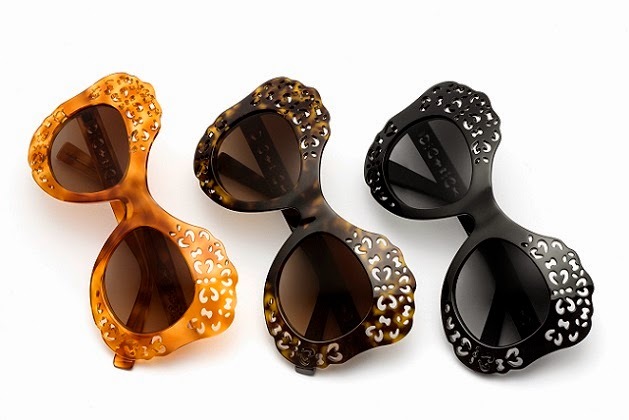 The Dolce&Gabbana logo is embossed onto the temples. 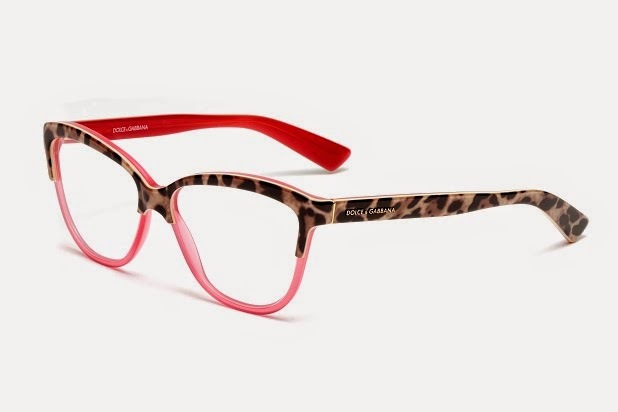 A subtle butterfly shape adds an ethereal gracefulness to these acetate optical frames, whilst the sensual vibe is further enhanced by the unmistakeable Dolce&Gabbana animalier print which adorns the front section and temples and creates contrast between the inner and outer sections. Available in: leopard print top part over black with black inner section, leopard print top part over opaline raspberry with opaline raspberry inner section, leopard print top part over opaline lime green with opaline lime green inner section. The Dolce&Gabbana logo holds pride of place on the temples. Characterised by their subtle butterfly shape, these optical frames are given an even more feminine feel thanks to their gold inner section in homage to one of Dolce&Gabbana best-loved materials and gorgeous colour top section. Available in Havana top part over gold, grey top part over gold, petroleum top part over gold and fuchsia top part over gold. The DG logo adorns the temples, with some versions available in Asian Fit. 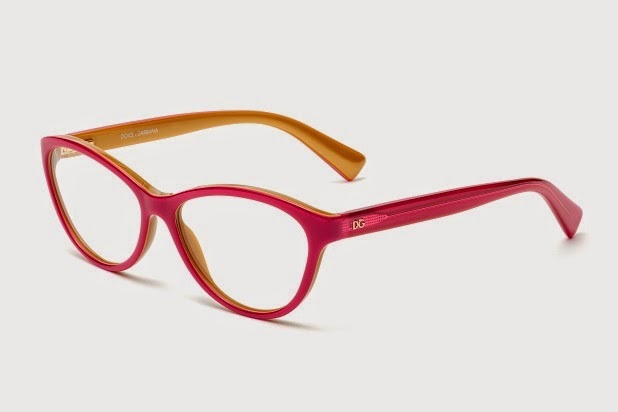 These cat-eye optical frames are the perfect interpretation of Dolce&Gabbana’s Sicilian inspired style. The very essence of the island is evoked through cube-effect coloured acetates, with retro flashes of gold on the front section and temples completing the effect. Available colour combinations include: front section and temple tips in ice-coloured cube-effect acetate with pale gold metal detailing or front section and temple tips in green apple cube-effect acetate with pale gold metal detailing. Alternatively, the elegant black version with pale gold metal detailing makes for a more classic look. 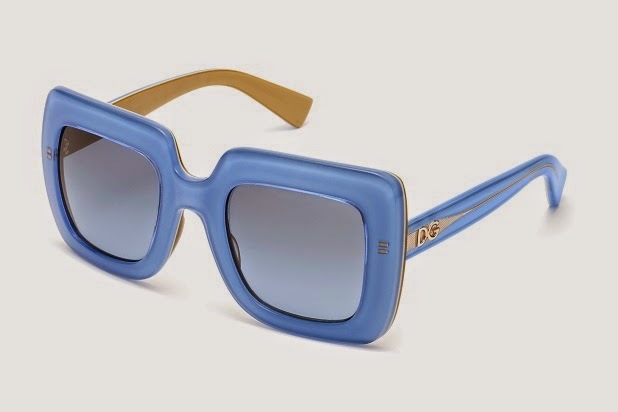 The Dolce&Gabbana logo is engraved into the temples, with some versions available in Asian Fit. These optical frames are the perfect interpretation of the PE 2015 collection’s ‘Spain in Sicily’ theme from Dolce&Gabbana. The squared lines are softened by temples in inlaid acetate, inspired by the distinctive Spanish combs and fans, lending a frisson of mystery to these effortlessly seductive frames. Available in three classic colour options: polished black, dark Havana and blonde Havana. The Dolce&Gabbana logo is affixed to the temples in resin. Also available in Asian Fit.